The Ex Postal Facto Vendor Expo will take place in downtown San Francisco, off of Union Square at the SF Elks Lodge. The SF Elks Lodge is located on the third floor of The Kensington Park Hotel, 450 Post Street (between Powell and Mason). 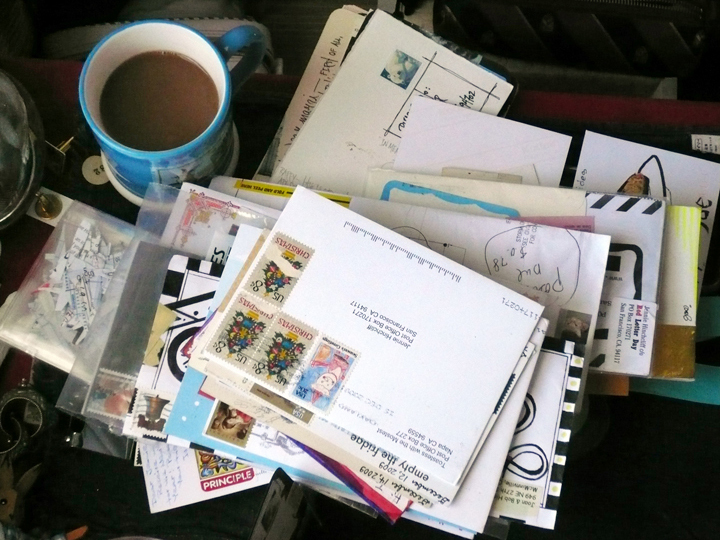 He’s packing & organizing & boxing his acetate encrusted stamp sheets…NOT TO BE MESSED WITH… a n y w a y… again he’s sharing a table with CREATIVE THING. Ginny… & I good wishes to BB. mike =, LA DADA, THE 64 VW BUS, ZTZU, etc..